BlackBerry PlayBook OS 2.0 Is Out & Ready For Download! 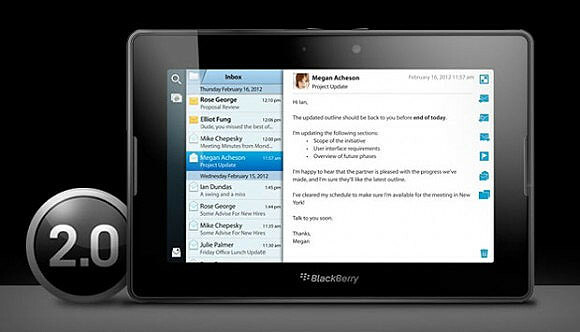 RIM just announced yesterday that the new BlackBerry PlayBook OS 2.0 is out and ready for download. BlackBerry PlayBook OS 2.0 delivers an enhanced tablet experience and allows you to use the BlackBerry PlayBook in new ways throughout the day – at work and at play. Building on the BlackBerry PlayBook tablet’s proven web browsing, multimedia andmultitasking strengths, the new BlackBerry PlayBook OS 2.0 introduces a range of new communications and productivity enhancements as well as expanded app and content support. Blackberry Playbook OS 2.0 is now ready for download. More info here.